Finally broke down and bought Diablo 3 on my debit card. 64.94 total, digital download. Completely in love with this game, my best friend from NY plays it too and helped me progress much more quickly than I would going solo. I will get hours of enjoyment from this purchase so I really don’t feel bad about buying it. The game also was released about 3 months ago and after mulling it over I decided I had waited long enough. Watching Hoarding: Buried Alive and it reminded me of something mentioned in Destroy Student Debt: A Combat To Freedom. These people have low self-esteem and they don’t place a high amount of value on the items they own. It essentially fills some type of void. I too have struggled with similar issues of my own over the years. Having horrible gapped teeth (think Michael Strahan), a disabled parent who rode a bike and took public transportation to get around, and a family with a fraction of the money I saw others with. In high school I saw kids with almost brand new BMWs, VW Jettas while I made 5.15/hr part time and rode a mountain bike around. 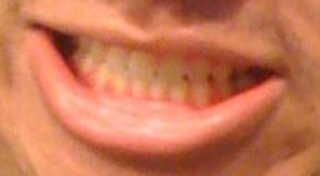 Around 2004 I splurged on getting my teeth straightened. I was super self-conscious about this aspect of my life. The cost was $4000 which I paid after getting two discounts. It would have been $6000, $1000 off for being in a dental program and another $1000 for lump sum payment. If I didn’t have money from my father’s life insurance policy, I would not have been able to afford it. I wear my retainer almost every night because I never want my teeth to go back to the way they were. I still am afraid to smile in pictures because that insecure kid with the messed up teeth lurks within. Over the coming weeks I’m going to replace some faded, holy or otherwise worn down clothes in my wardrobe. The man makes the clothes, but the clothes also make the man. I don’t need designer labels, I just want to look good. Along with that I’ve hit up the gym 3 times over the last 3 days. Feeing better about myself each day I go and being more careful with my workouts to avoid injury. Even a minor injury puts me out of commission for a week. OT: My car’s fuel economy has completely sucked lately. High temps, short work commute and running a/c almost all the time. 20mpg when it’s rated for 23/32, but I have been a bit aggressive with my driving and the tires psi needs to be increased. It’s a lil depressing the car is worth around 12k and I originally paid around 25k for it. Closer to 30k overall if you include maintenance and upgrades. I do get the itch to upgrade to something new every couple months, but I know that would be financial suicide based on my income. Those 219/mo leasing deals are tempting until you do the actual math and realize you have to give the car back at the end or end up buying it for more than you would’ve paid at the beginning. My friends in NY and their friends / family keep on leasing. One is on his third lease in four years and is getting tired of his car, looking to turn in the car early and get into *another* lease. I really try to focus on value rather than instant gratification.